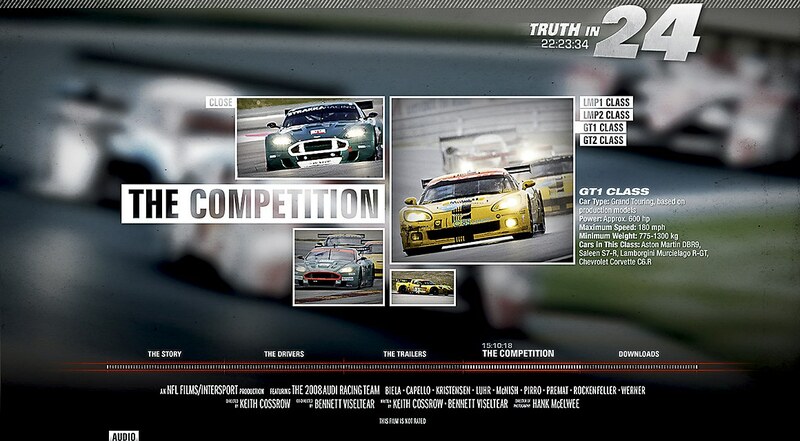 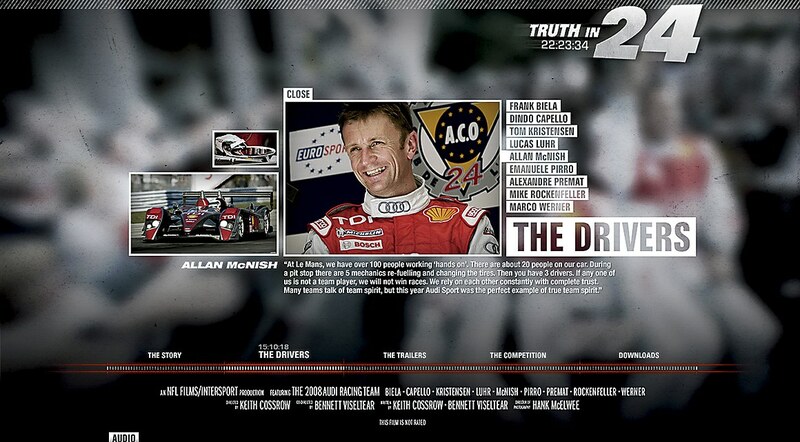 "To help reveal Audi's remarkable accomplishments and give users a better understanding of the brand's core values, we launched a campaign around Truth in 24, a documentary film about Audi and its role in one of the world's most notorious auto races: The 24 Hours of Le Mans. 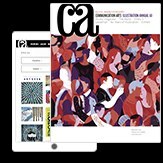 We implemented an exclusive distribution partnership with Apple iTunes and developed movie trailers, online banners and a dedicated microsite. 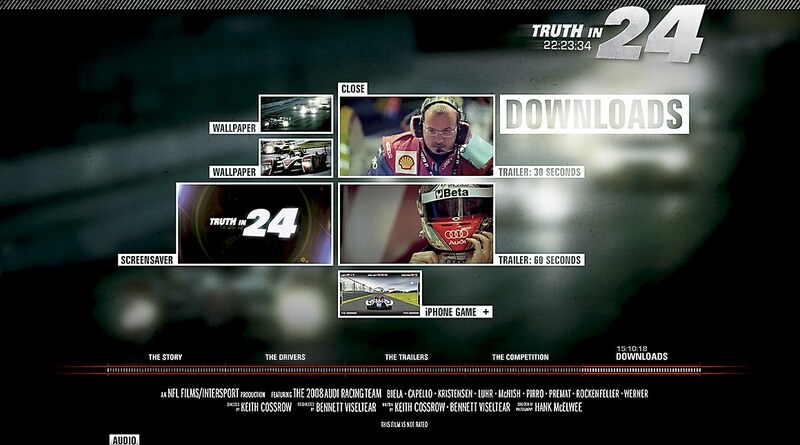 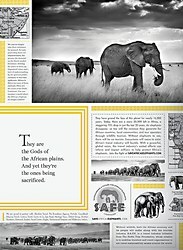 We also developed the Truth in 24 iPhone app, a free game that allows users to experience the excitement and strategy of Le Mans racing in the palm of their hand."